This hat band is pink, blue and white. 43" (109.22cm) in length and 1" (2.54 cm) wide. 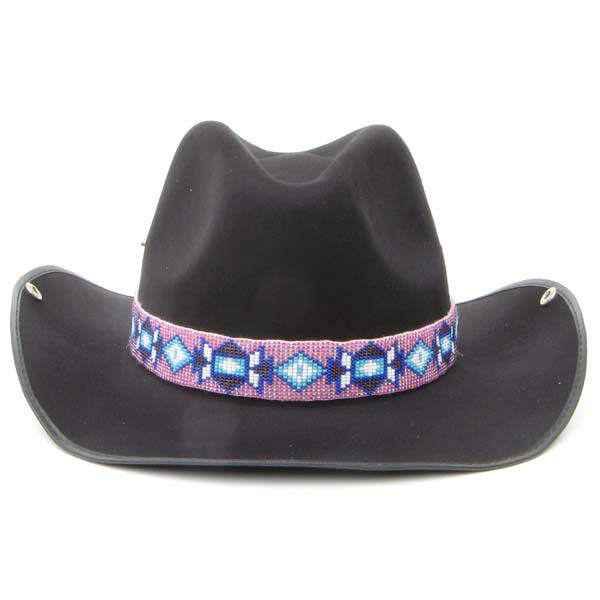 The hatband features leather ends and corded ties. Or it can also be worn as a belt.